Rojo ¾” Float Valves are float operated valves for automatic filling of water storage vessels. The Rojo can be mounted above or below water level. 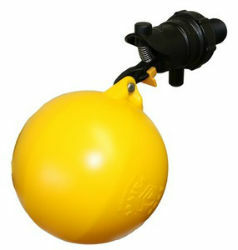 It is a simple mechanically operated valve. The Rojo is a good choice where its low flow is sufficient and its compact non corrosive construction is beneficial.